The world is changing very quickly and we are being bombarded everyday with many toxic chemicals in the food we eat, the cleaning products we use and even the air we breathe. Thankfully some governments, businesses and individuals around the world are beginning to take actions to going more green. 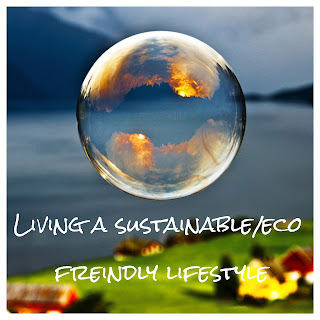 From opting for alternative energies such as wind, hydro and solar power and switching to lower emission transportation uses, making life more environmentally friendly simply makes sense. Denmark's wind power generates 140% of its electricity leaving enough to send to Germany, Sweden and Norway. In Vancouver, B.C. its goal was to be entirely powered by clean energy by 2050- not just electricity, but transportation and heating as well. The city adopted a goal of 50% sustainable mode share by 2020- half of all trips in the city would be taken by walking, biking or transit rather than autos. They hit the target in 2015! Watch the video here. even through the air we breathe in our homes by making some small changes. *Food Choices- Buy organic: apples, grapes, potatoes, spinach and cucumbers are very high in pesticide residues. Some food with low pesticide residue are avocados, pineapples, organic corn, cabbage (a great probiotic), eggplant and cauliflower. See the full list here. *Cleaning Products-There are many natural products you can use for all the cleaning around the house. By using these you have reduced the amount of toxins your body is exposed to. White vinegar with lemongrass or wild orange essential oil will clean all your counter tops, bathrooms and leave a clean fresh aroma throughout the house (mix equal parts white vinegar with water and add 10-20 drops of essential oil into a spray bottle). You can use the same mixture in cleaning your toilets by pouring into and leaving it while you clean the rest of the bathroom. Then brush and flush. *Laundry- Ditch the dryer sheets! Instead, use Woolzies, available online, at Whole Foods, Target etc. These wool balls last for 1000's of loads and when used with a few drops of essential oil, make your clothes smell awesome, and with no toxins! 1. Alpha-Terpineol causes central nervous system disorders. Can also cause loss of muscular coordination, central nervous system depression, and headache. 2. Benzyl Alcohol causes central nervous system disorders, headaches, nausea, vomiting, dizziness, central nervous system depression, and, in severe cases, death. 3. Camphor on the US EPA’s Hazardous Waste list. Central nervous system stimulant, causes dizziness, confusion, nausea, twitching muscles, and convulsions. 4. Chloroform on the EPA’s Hazardous Waste list. Neurotoxic and carcinogenic. 5. Ethyl Acetate on the EPA’s Hazardous Waste list. Narcotic. May cause headaches and narcosis (stupor). 6. Linalool causes central nervous system disorders. Narcotic. In studies of animals, it caused ataxic gait (loss of muscular coordination), reduced spontaneous motor activity, and depression. 7. Pentane causes headaches, nausea, vomiting, dizziness, drowsiness, and loss of consciousness. Repeated inhalation of vapors causes central nervous system depression. Those Woolzies are looking like a wise choice, aren't they?! *Air Cleaning- House plants are one of the easiest ways to clean up the quality of the air we breathe in our homes. Plants like Bromeliads, Dracaenas, Spider Plants and Jade Plants are the top "cleaners". Removing up to 80% of toxins from the air. Also by using an Essential Oil Diffuser instead of candles or air fresheners, you are reducing more toxins from the air you breathe. *Drink Water-And not from a plastic bottle! Invest in a "Swell" bottle: they keep your water cold up to 24 hours and liquids hot for 12 hours. They are beautifully crafted and have multiple design options available. 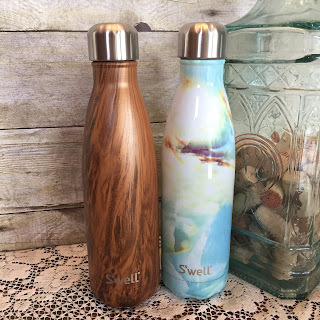 Kris wanted me to say that if there are any Lilly Pulitzer fans reading, you can purchase a Lilly Print Swell Bottle at your local Starbucks (if you're lucky enough to find them in stock), and beginning February 28, you can purchase them online at Starbucks.com. We use ours every day! If our day-to-day actions are more environmentally friendly we not only help the environment, but we can benefit financially, physically and mentally as well.